Here's how it works: Specialized computer software is used to design a plan for moving your teeth from their current positions into the best possible alignment. This movement will be broken down into perhaps several dozen stages. For each stage, the Invisalign company will manufacture two plastic mouth “trays” or “aligners,” one to fit over your top teeth and one for the bottom. 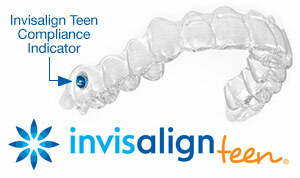 You will wear each set of corrective trays for one week at at time for a minimum of 22 hours per day. You will continue this treatment to accomplish each stage of gradual movement. You will keep doing this until your teeth are correctly aligned.